Winter is here, and with the warm drinks, decorations and twinkling lights also comes inclement weather. Sometimes this leads to schools, learning academies, tutoring centers, and after school activities being cancelled or delayed. Many may not know the procedures that inevitably arise during winter due to these changes. To make sure that you are prepared this winter, we have compiled answers to questions you may find yourself asking during the winter school season. Is My Child’s School Closed or Delayed? Sometimes, if the weather is deemed too dangerous due to snow, ice, or low temperatures, then schools, learning academies, or after-school learning centers will cancel classes or activities for the day. If it is thought that the weather will improve, then there may be a 1- or 2-hour delay. If there is a delay, the school day is shifted to start 1 to 2 hours later and classes will be shortened, so the school’s end time will remain the same. You can check to see if your school, learning academy or after-school learning center has a cancellation or delay by tuning into your local news or searching online. Usually, you will receive a call from your school or center. If A Grade Ahead must cancel classes, you will receive a phone call from us. How Will My Child Make Up Lessons if School is Closed? When your child returns to school, his or her teacher will find a way to implement the lessons he or she missed. This will ensure that your child will still learn the content they need to. Since there will be less time to go over the new content at school, it may be a good idea to review the topics at home with your child. Try talking to your child’s teacher to find out what topics were planned to be taught on the day that school was canceled. At A Grade Ahead, the work missed at your learning academy will be waiting to be picked up. Material should be picked up before the next class, and students can either try to schedule a make-up class or study the topics on their own. The material will have all the necessary information needed to learn about the topics and complete their homework. Is There a Way to Supplement Work at Home to Ensure My Child is Still Learning? A Grade Ahead’s material offers weekly homework. This gives children the opportunity to learn and excel from their own home! The work aligns with Common Core standards, so even if it is not covering the topics at the same time as your child’s school, it can still help students excel in the subjects required for each grade. If there is a snow day, you can rest assured that you have work your student can still do at home so they are keeping up and learning. What are Some Free Educational Ways to Spend Snow Days? There are free online games your child can engage in during snow days. This is a fun way to make the day educational. Playing educational apps and games can make children feel like they are taking the day off when really they are still keeping their brains sharp and active! You can also invest in books your child can read or flashcards to practice concepts. There are many different topics and levels of flashcards to meet your student’s needs. Invest in flashcards your child finds exciting and save them for days like snow days or times you have free time, when you can spend a few minutes training your child’s brain. When winter weather happens, you won’t need to worry about making sure your student is staying on top of learning or what is happening at school. Utilize these suggestions and you will be prepared for any snow days or cancellations that come our way! 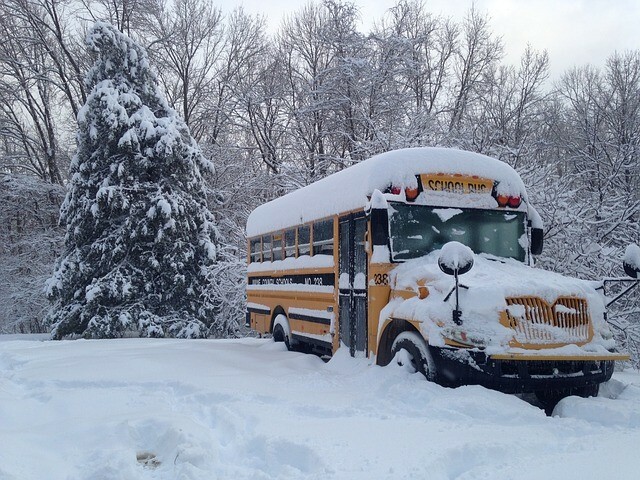 Do you still have questions or concerns about school during winter months? What are fun educational activities you do with your student at home?